Wairarapa’s international hockey players Dane Lett and Megan Hull have begun their respective world Pro League careers with losses to the Netherlands. 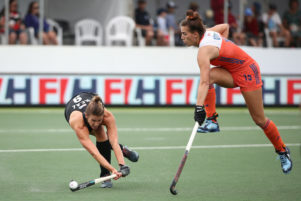 Both matches in Sunday’s double headers were thrillers – the men’s Black Sticks going down 4-3 after trailing 3-0 in the first quarter, and the women fell 1-0 to the Dutch world champions. The men fought their way back with three second-quarter goals through Hugo Inglis  and then Kane Russell. But a 44th-minute penalty corner to the Dutch proved decisive. George Enersen came up with a save for New Zealand but the Dutch caught the Black Sticks napping from the long corner that followed. Thierry Brinkman powered home a reverse shot to put the Netherlands back in front 4-3. There was a tense finish to the match, with both teams reduced to 10 men and the Black Sticks squandering a late penalty corner. Brooke Neal of New Zealand takes a shot against the Netherlands in a women’s Pro League match at North Harbour Stadium on Sunday. The women’s encounter was an equally tight affair, with Maartje Krekelaar scoring the only goal in the 38th minute. The first quarter was played evenly, with both sides constructing some excellent scoring opportunities. Both teams showed some great attacking flair but could not convert their chances. The Netherlands struck through a well-worked goal to take the lead. This seemed to spark the Black Sticks women into life and they pushed hard as the quarter wound down trying to find the equaliser. Despite creating a few opportunities, the Black Sticks were unable to break through. 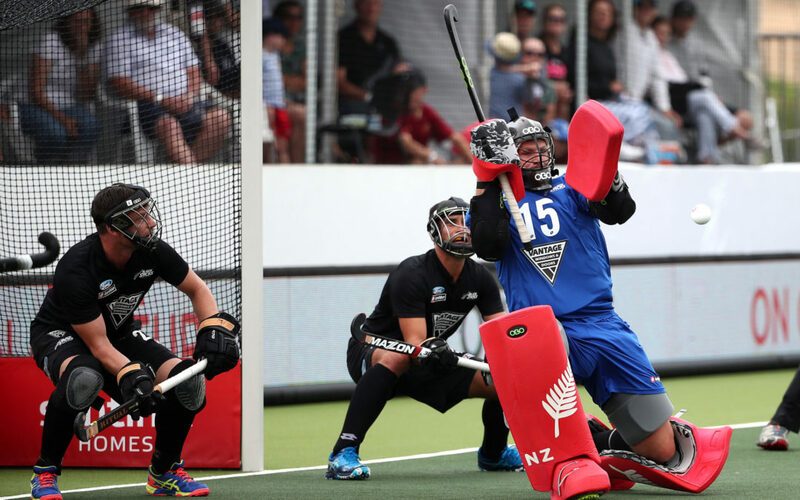 The New Zealand sides will each look to bounce back when they host the Belgium men’s and women’s sides on Friday at North Harbour Hockey Stadium. Lett said the team had been a little rusty going into the match after a long break. “We didn’t get off to a good start – they scored three against us which was a little bit disappointing. Lett now has 43 caps, but it was his first match against the Netherlands and he felt his performance had been generally good. Lett, 28, who was player-coach of Dalefield last season, is looking to make his presence felt for the Black Sticks. For Hull, Sunday’s match was a good test against the world champions. It was the fifth international cap for the 22-year-old. “We put a lot of our game plan into practice and fought pretty well, obviously we were disappointed with the loss, but a lot of positives came from the game. “We defended well and created opportunities, but maybe didn’t make the most of those opportunities. Men: Netherlands 4 [Thierry Brinkman, Jonas De Geus, Jip Janssen] Black Sticks 3 [Hugo Inglis, 2, Kane Russell]. Women: Netherlands 1 [Maartje Krekelaar] Black Sticks 0.